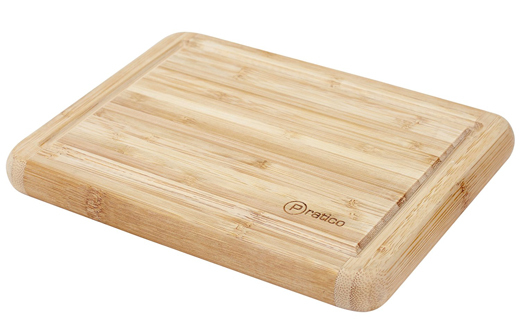 The reversible cutting board is gentle on knives with the main side designed with a large juice groove. While it is hand wash only, it is easy to clean with warm soapy water. Oma enjoys a cup of lemon water every morning. 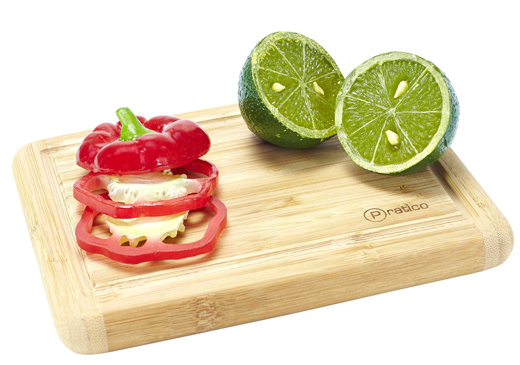 This cutting board is perfect to leave on the counter for cutting my lemon. 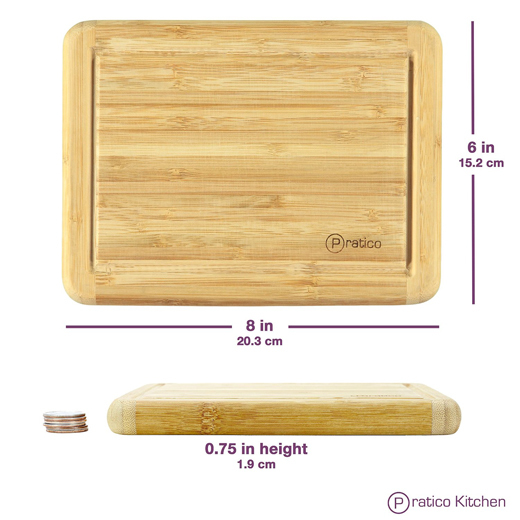 Did you know that Bamboo is naturally anti-microbial and because it is less porous it prevents food and bacteria from forming? Tip: to extend the life of this product, just rub with a mineral oil.